During the month of April, 2017, the number of tourists visiting Israel hit an all time record of 350,000! With the summer holiday season just around the corner, we've rounded up some locally designed and recommended Israeli amenities (and places), that will make touring the Holy Land such an unforgettable experience. City or Country Mouse? Plan A Trip To Suit Your Needs. Most Israelis love to travel the country, hike, swim, surf and climb, and although Israel's major cities, like Tel Aviv, Jerusalem, Tiberius, are an adventure within themselves, on your next visit make sure to also get out of the city and to discover Israel's beautiful, natural gems. Whether you choose to rent a car in Israel and travel the entire country independently, or book a group-tour of an area or site, Israel's incredibly diverse countryside has a great deal to offer. If you are less suited to the group-tour-bus option, you can design a customized route based on your particular interests. 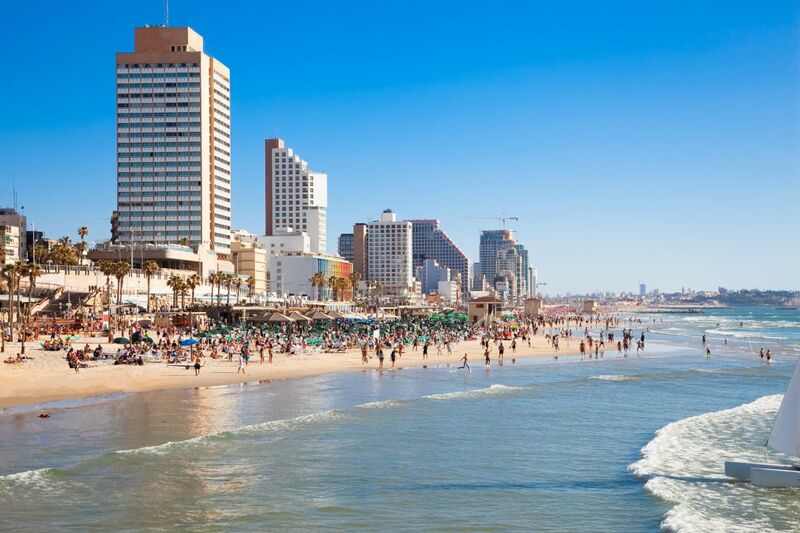 Israel is simply manageable by car and parking at the major attractions is generally painless. Israel is largely divided into geographical regions with each region boasting its own pilgrimage spots, historical sites, climate and terrain. There are several local resources at your disposal to help you create your itinerary, and Israeli people, largely proud of their country and heritage, will always be glad to offer on-the-spot assistance. Alternatively, you can easily and inexpensively hire a local tour guide who speaks you language to assist with the customized plan and its execution. Experience The Best of The Blue and The Most Breathtaking of The White - Where to go? From the center travelling North: Greenery, beaches, authentic eats and history. 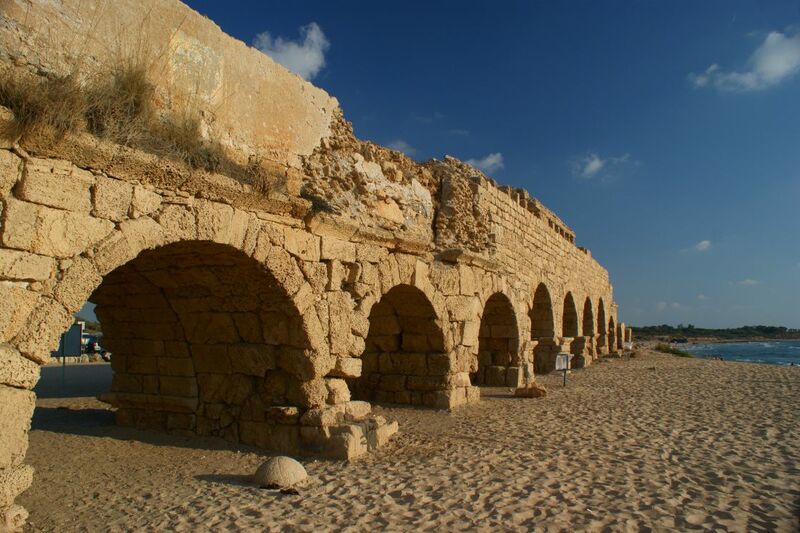 Make your first stop at Caesarea National Park, to see the archeological remains of the original town built by Herod the Great and take a break on the beautiful beach. You can continue north to Zichron Yaakov or just north of Zichron Yaakov are the Caves Stream Carmel Mountain nature reserve (Nahal Mearot), the site of a prehistoric settlement. There are guided tours of the caves and the surrounding archaeology. Visit the artist village Ein Hod, a fabulous village in which artists have congregated to live and create. North of Ein Hod is the road which leads to Beit Oren. The snake path road is known as "Little Switzerland". This is also a picturesque way to get to Daliat Al Carmel, the largest Druze Village in Israel with a lively market place. Continue north to Israels third-largest city Haifa, where you can stop at the Bahai Shrine and Gardens, a beautiful terraced landscaped built as a memorial to the founders of the Bahai religion. You can enjoy an authentic Israeli meal at one of Haifa's famous Shawarma restaurants and then on to Akko, where you can stay the night. Alternatively, you can spend the day touring Akko and its magical market and historical seaport before you settle for an authentic meal at one of the local restaurants. And all of this – and more – in a 30 km stretch. Not to mention the beautiful (blue and white) Mediterranean coast that runs along Israel's western region. From the center travelling South: Jerusalem, the (blue and white) desert and oases, natural wonders at their best. Although not strictly south, a trip from central Israel should firstly and fore mostly take you to the city of Jerusalem, where you can tour the Old City, The Western/ Wailing Wall, The Temple Mount and The Dome of the Rock, The Tower of David, The Church of the Holy Sepulcher and so much more. There is not nearly enough that can be said about the beauty and uniqueness of the Jerusalem experience, and if your itinerary permits, make this stay last for at least a couple of days. If you are taking a day trip down south, although a slightly longer drive form the center, the Dead Sea and its surrounding area is a great option for some nature-loving fun. The Dead Sea is the lowest point on Earth; it is a sea of highly saline and mineral rich water. It feels great to try the famous Dead Sea mud and give yourself a spa treatment for the health benefits mud and water in this unique corner of the world. Near the Dead Sea is the national park of Ein Gedi. Considered Israel's biggest oasis, Ein Gedi has springs and waterfalls, and flowing brooks at the foot of the cliffs, home to ibexes and rock hyraxes. 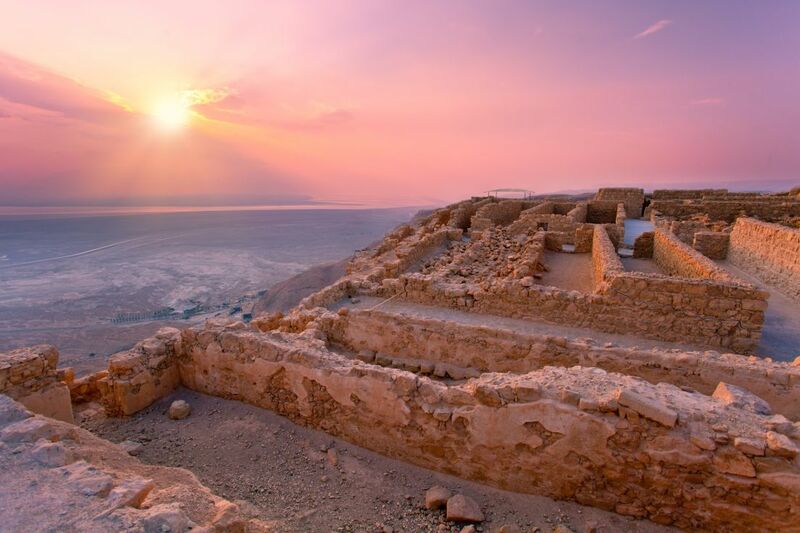 You can also make a full day of a trip to the famous mountain of Masada, a popular touring site overlooking the Dead Sea, that enables visitors to climb a tall and beautiful mountain, see the archeological remains and hear the story of its history. Arriving at the mountain at sunrise will enable you to climb before the heat checks in and staying till sunset grants you a view of the amazing multimedia sound and light show that retells the story of the Battle of Masada. Don't forget to pack your technology! After all, being a blue and white tourist is all about being mobile. Israel's widespread adoption of mobile technology and devices means that travel-imperative tasks like finding the right accommodation, making restaurant reservations, navigating by foot, by car, or by public transport or even renting a car - have become user centric and extremely friendly. When planning your trip to Israel and especially during your travels, take advantage of Israel's highly efficient online accessibility and applications like Waze, Moovit, Tripadvisor and Booking Clickatable, The Culture Trip, Gett, Expedia and more, to ensure your plans never fall through.